Camden, about an hour’s drive southwest of Sydney, is the birthplace of Australia’s wool industry. We stopped for a short stay in this quaint and very historic little town, one we’d often driven through but had never previously stayed in. 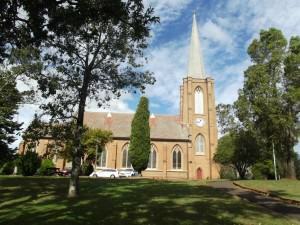 Camden is part of the Macarthur region, named after the pioneers John and Elizabeth Macarthur and, indeed, hundreds of pioneering families began their new life in this region. We arrived on a Saturday morning and settled into a cabin at the Poplar Tourist Park ([star][star][star][star_half]) for our brief stay here. Nestled on the banks of the Nepean River, the park offers cabin accommodation as well as powered sites and a camping ground that has no amenities. After settling in it was time to explore with our first stop being the Visitor Information Centre. But to really appreciate the historic, and in many cases heritage listed, buildings, it was wise to leave the car and walk. And walk we did. We parked the car outside St Paul’s Catholic Church and, of course, the church was our first stop. 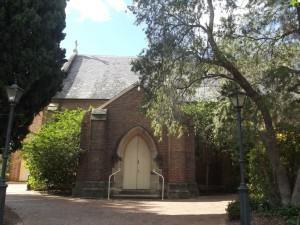 St Paul’s was built in 1859 on land donated by James and William Macarthur, the youngest sons of John and Elizabeth, and in 1860 Camden became a separate Catholic parish. I would have liked to have gone inside but the church wasn’t open and so I contented myself with a few photos in the grounds. structures and were built in 1841. The present building was completed in 1857 and new cells were built in 1859. John was fascinated by the workmanship of the old building. They built them to last back then! Beside the Court House is the Council of Camden Community Memorial Garden. 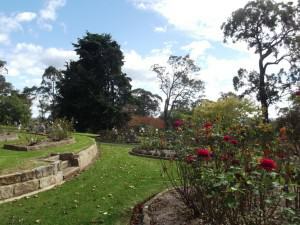 We took the time to wander through the garden but we didn’t take the Memorial Walkway that would have taken us past the Equestrian Centre, I could see something that really piqued my interest and I was impatient to go and have a look. back for the car and by the time we’d reached the top I was beginning to think he was right. Not that I would have told him that! But what a magnificent structure! The foundation stone was laid in 1840 and the construction completed in 1849. We strolled through the grounds for a while and discovered a plaque set into the ground, a memorial to an amazing and little known piece of Camden’s history. 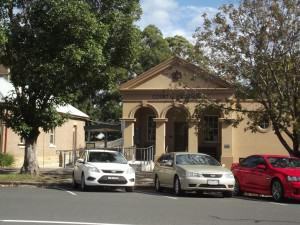 Victoria via Forest Hill, today a suburb of Wagga Wagga, in southwestern New South Wales. The estimated arrival time at Forest Hill was 12:30 hours and they were reported overdue at 14:00 hours. The last positive sighting of the aircraft was made in the Camden region. Of course, the plane could have gone down anywhere and to this day has never been found. It is safe to assume, though, that the occupants are not alive today. There have been a number of searches, official and otherwise, over the years but the fate of the plane, its 2-man crew, and its 3 passengers is unknown. cross-breeding of sheep to improve wool growth. In 1805 he was granted 5000 acres of land in what is now the Camden district. Construction of Camden Park House was begun in 1832 and completed in 1835, the year after John Macarthur died. It has become one of the greatest mansions of Australia and is still occupied by the Macarthur family. The house is open to the public only on the 3rd weekend in September and so we couldn’t go inside but I did want to have a look at it. The afternoon was fading and it was time to head back to the cabin for the night and, of course, we had our bottle of Two Tails Sparkling Wine waiting for us. 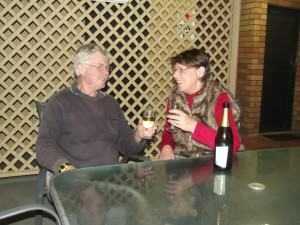 We took our bottle and wandered off to the Tourist park’s camp kitchen for our first night bubbly but unfortunately the temperature had plummeted and so we returned to the cabin for dinner and a quiet night. The next morning was frosty, to say the least, but by the time we’d packed up our gear and made ready to leave it had turned into a nice, sunny day. There are many, many historic and heritage listed buildings throughout Camden and the surrounding district and we were sorry we didn’t have time to see any more but there were 1 or 2 places I simply had to go today. The first was Macarthur Park. The park was given as a gift to the people of Camden in 1905 by John Macarthur’s granddaughter, Elizabeth, and officially opened in 1906. Inside the park is the Cenotaph honouring World War I soldiers and the park is home to Camden’s War Memorial. By the time we arrived at the park the temperature was moving upwards, not nearly as fast as I would have liked but upwards nevertheless. We stopped at the park for a short while and strolled through the gardens. 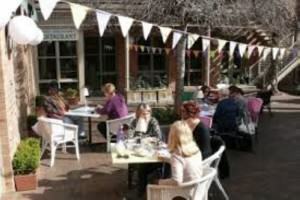 There were many families and groups enjoying the grounds, having picnics or simply relaxing in the sun. We wandered along the paths for a short distance but didn’t stay long and soon were back on the road out to Camden Airport. I wanted to see the gliders and Camden Airport is home to one of the largest gliding clubs in Australia. 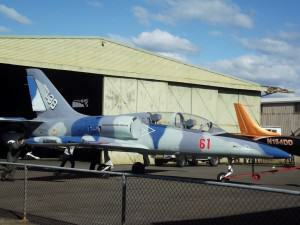 There are all manner of aviation adventures available at Camden Airport and not only gliding. There are helicopter flights, a company called Air Combat Australia offers flights in a jet fighter, and flights in a variety of aircraft including bi-planes. And hot air balloons! One could be almost spoiled for choice. I was amazed at the sheer number of craft taking off and landing and the absolute silence of the gliders but, given more time, I would have loved a balloon flight. John has no interest in the balloons, he’d rather a glider or a jet fighter; one extreme to the other, really. But today, for us, it wasn’t to be. Lack of time meant we had to get on the road again, and soon. 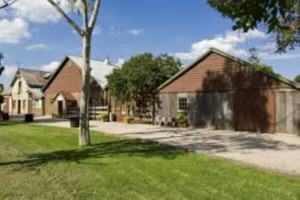 However, there was one more stop we simply had to make and Gledswood Homestead and Winery was beckoning. Gledswood Homestead dates back to the early 1800’s and some of the first buildings to be built still stand today. They were made from the local sandstone. A large tour group had arrived just ahead of us so we thought we would make a quick stop but billy tea and damper was on offer and I wasn’t passing that up! After our cup of tea we wandered around the grounds for a while, watching the working dogs, those kelpies are fantastic the way they keep those sheep together, and the whip cracking and boomerang throwing displays. Then it was over to the Coach House for a little wine tasting before we reluctantly said goodbye. It was time to head for home. 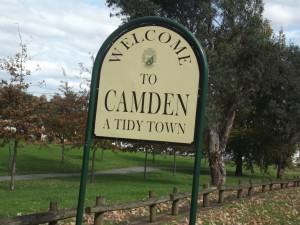 Camden is a great place for a short stay or even a long one. From the wool industry to the wine industry, Camden has a story for everyone. 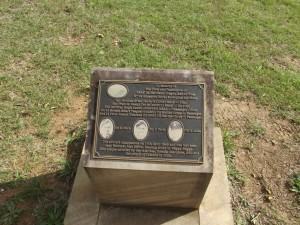 It is the birthplace of some very well-known Australians, too. Steven Bradbury, Australia’s first winter Olympics gold medalist, Mat Mladin, world motorcycle champion, and Professor Graeme Clark, the inventor of the bionic ear, to name a few. But anyone who fancies themselves as a history buff, like me, could become so completely immersed in it all that you’d never want to leave. The area has so much to see and do and we barely scratched the surface. More than enough reason to come back sometime.